Railpictures.ca - Michael Berry Photo: A trio of NS units (NS 9704, NS 7299 & NS 8076) are operating as CN 500 as they leave the Port of Montreal light power after bringing in CN 148 to the port. Normally CN 148 enters the port overnight, but they did not have room and CN had to park the train on track 29 a few miles west of here. | Railpictures.ca – Canadian Railway Photography – photographie ferroviaire Canadienne. 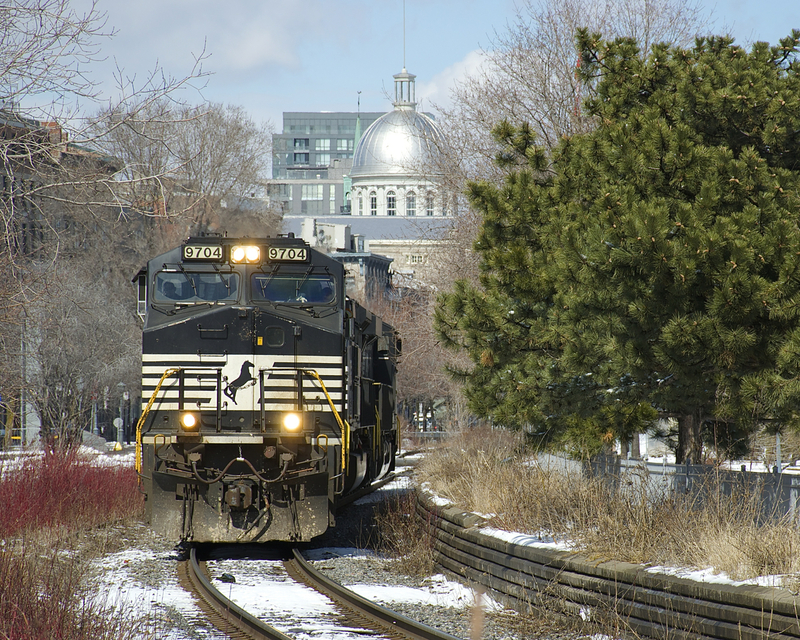 Caption: A trio of NS units (NS 9704, NS 7299 & NS 8076) are operating as CN 500 as they leave the Port of Montreal light power after bringing in CN 148 to the port. Normally CN 148 enters the port overnight, but they did not have room and CN had to park the train on track 29 a few miles west of here.